I can’t seem to go to my local market in Herne Hill without spending about 50 million pounds. It really is just TOO GOOD. The fish man is always what gets me as it’s the only place I can get fresh fish locally that hasn’t been flown in from God knows where. 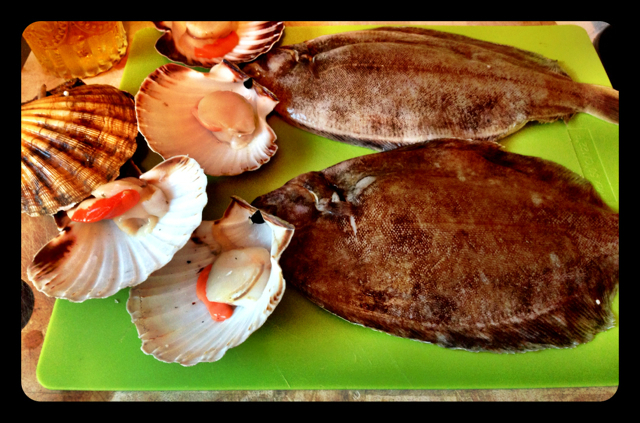 Last weekend there were some particularly delicious looking hand-dived scallops which I couldn’t resist and by the time our conversation was over I’d walked away with a couple of lemon sole as well. The best thing about the fish man (formally known as the Portland Scallop Company) is that he always suggests new ways to cook whatever it is you’re buying which is normally incredibly simple and incredibly delicious. So the below is all thanks to the fish man and his fantastic fishes. This recipe only really works for scallops if you can find them in their shells as that’s what they cook in. 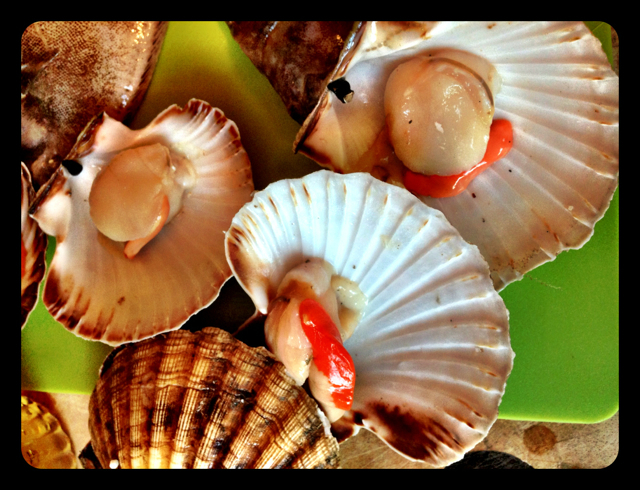 Detach the scallops from their shells using a teaspoon. 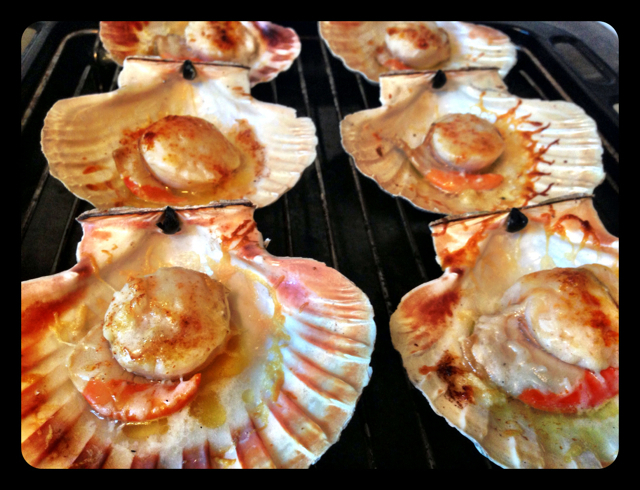 Add a small dollop of garlic butter to the shell and a mere sprinkling of cayenne pepper on top of the scallop. Grate some parmesan on top. 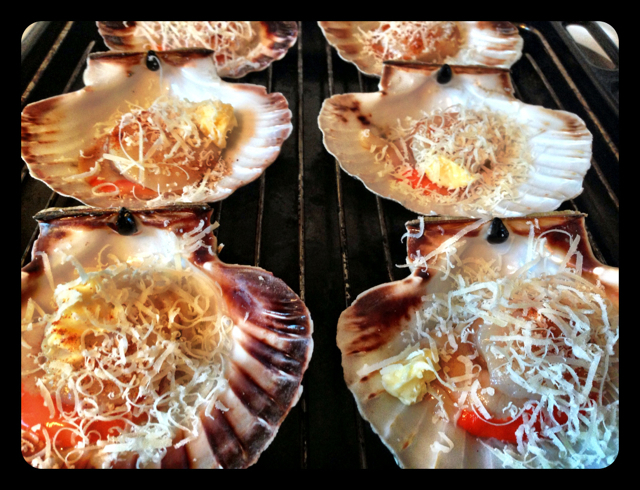 Place under a hot grill and let them cook in their shells until the Parmesan bubbles – a matter of a few minutes. Serve the scallops in their shells. 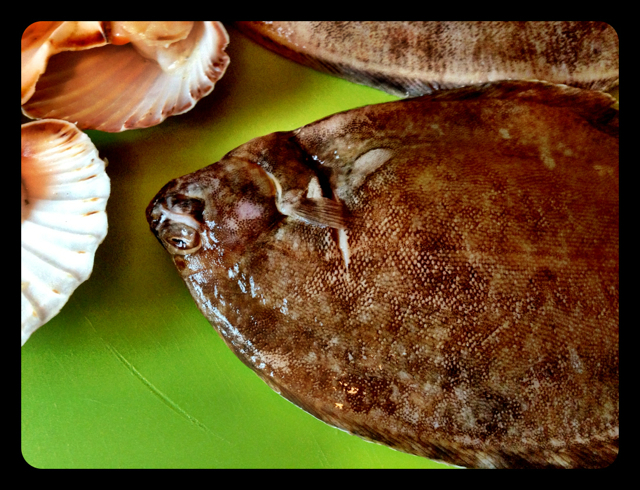 The lemon sole was just as simple. Make several diagonal slices on the skin side of the sole. Season well and then place under a hot grill, tummy side first. Cook until golden brown (approx 4/5mins) and then remove from the grill and turn over. Smear a generous amount of garlic butter onto the skin side of the fish, making sure you work it well into the incisions. 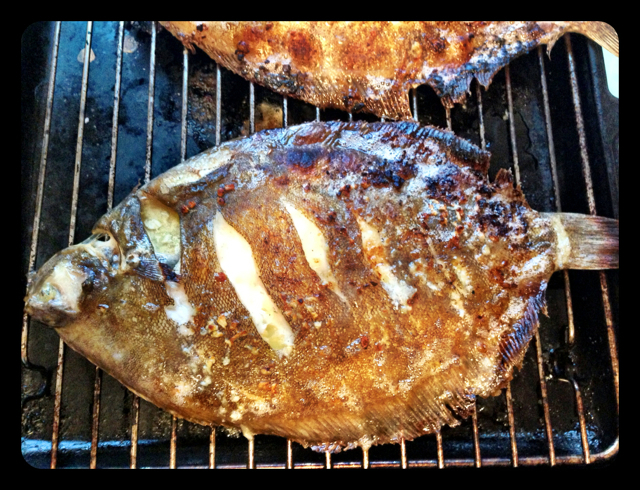 Squeeze some lemon juice over the fish before returning it to the grill for another 4/5mins. This would work just as well on the barbecue and is just brilliantly easy. Serve with a salad or summer greens.